When entering any grocery store in any city/town or obscure spot on the map, it doesn't take significant degree of observation to realize how blessed we are with the varied and plentiful food supply in this country. The same when you try to decide which of thousands of restaurants available within 20 miles of your location you would like to have breakfast, lunch or dinner. Unfortunately we take it for granted. Our ability to produce, cleanse, regulate, package and distribute food to our fellow citizens is unprecedented in human history. In addition to convenience and variety, public health has improved significantly due to elimination of food and water borne illnesses. On the opposite side of access to varied and plentiful food supplies are decisions on how much food is needed and which are the best foods for your individual health. As a result of poor choices, childhood obesity has grown in this country. In addition, we are facing worldwide population growth and the resulting increase in demand for safe food. The challenge for us to maintain the convenient and healthy access to plentiful and varied food supplies is to do things necessary to make sure the planet can sustain needed levels of production, minimize waste and make personal food choices that are in our best interest. Follow the public discourse below. Why the healthy school lunch program is in trouble. You, my friend, are living through a food revolution. In labs across the world, researchers are growing meat from just a handful of animal cells or engineering striking imitations of meat, including an entirely plant-based burger that bleeds. 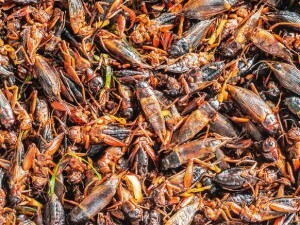 Human eaters are also starting to appreciate a rich protein source crawling around right under our noses: crickets. People have eaten bugs for millennia, but the Western world forgot that until recently. Companies are now racing to turn crickets into the (lucrative) future of food. One group of researchers and conservationists, though, thinks it can also use edible insects to save endangered mammals. Cricket agriculture means more water for human consumption and more land that’s dedicated to growing food for humans instead of cows. And a bag of cricket powder keeps a whole lot better than a cut of beef, plus it’s more versatile ... also far more scalable than traditional livestock, given how little land it requires to manufacture. Climate Change, global warming, has two new victims. Beer will be too expensive and sandwiches generate as much carbon as a car driven 12 miles. The only choice is climate mitigation! OMG! 1. RUSH: You want to know how desperate the climate change people are getting? 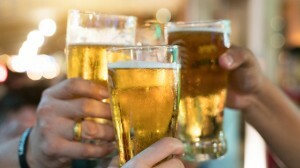 Daily Caller.com: “A Nature Plants study” that’s a magazine “claims that beer will be global warming’s next victim.” Global warming is going to destroy barley. Sandwiches carry with them the same carbon emission output as a car driven 12 miles, according to a study from the University of Manchester. Researchers followed the whole life cycle of a sandwich, including the production of ingredients, and their packaging, as well as food waste. Bacon, ham, and sausages contribute the most to a sandwich’s carbon footprint. “We need to change the labeling of food to increase the use-by date as these are usually quite conservative,” Professor Adisa Azapagic, who heads up the Sustainable Industrial Systems research group at the university, said in a Jan. 18 press statement. The New Way To Prevent Nut Allergies? A Constitutional Right to Industrial Farming? Is Michelle Obama's healthy school lunch program working?